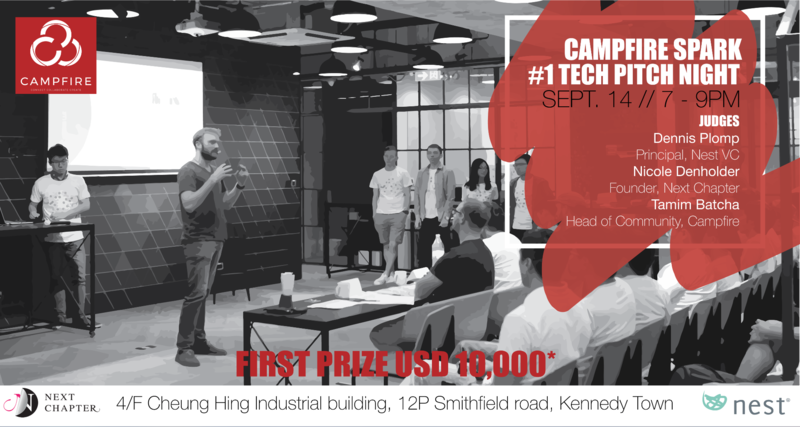 Campfire is excited to launch our first industry focused pitch night: CAMPFIRE SPARK. A fast one day Pitch Night, 3-minutes to pitch & 3-minutes Q&A. One winner and two runners up will be announced on the day. With experience in fundraising, Dennis helps manage the Nest Ventures portfolio and investor relations. Dennis has over 16 years of experience in PE, VC investments and M&A advisory across Europe and Asia. He has a successful track record of over 60 corporate finance transactions with companies ranging from start-ups to stock listed corporates. An entrepreneur at heart, he did his first hustle at the young age of 12. He has never had a JOB - Just Over Broke by his definition. Tamim has always had a passion for building businesses - core up. Having always been a problem solver with ideas that aren't the industry norm, he founded SpotHelp - a personal assistant on demand & merged it with GoGet to grow into servicing 3 cities with over 4500 verified GoGetters. He's the Head of Community & Sales at Campfire - Collaborative Spaces. With 15 years in manufacturing and sales previously, he's learned to streamline sales & operations in all the businesses he has been involved in. The love for learning what people's wants and needs are, and giving them a viable solution to it has been the cornerstone of his ability to get the right clientele.